While Law 3 of the FIFA Laws of the Game states that there must be 11 players on the field at all times, the only constant from one formation to the next tends to be the goalkeeper. There are a number of different soccer positions that can make up a given soccer formation. Players tend to play in three separate lines with front line being attackers, the back line defenders, and the players in between generally known as the midfielders because, well, they play in the middle of the field. Let’s take a closer look at each line of players. The only constant position across all formations is the goalkeeper. 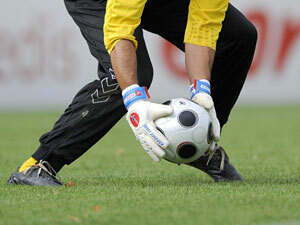 When in the penalty area, the goalie is the only player legally allowed to use his hands to play the ball. The last line of defense, a good soccer goalkeeper will be constantly shouting out to his defenders to maintain order and ensure proper coverage. Soccer defenders are a part of all formations and strategies. What differs, however, is the positioning and strategy of the defensive line. Generally speaking, defenders are divided into centerbacks, fullbacks, wingbacks, and at times, the sweeper. The centerback will usually take the center two positions in a back line of 4 players. These players are usually the tallest, strongest, and most positionally sound of all defenders. The full backs play on the outside of the defence and are relied upon to stop attacking wingers. Fullbacks have good speed and must be able to defend against players in 1-on-1 situations, as they will often times be alone and forced far wide when defending. Wingbacks are a recent innovation in soccer strategy, and very closely resemble the fullback in purpose. The only real difference is that the wingback also serves a very important attacking function. Certain formations, such as the 4-2-3-1, prevent the use of midfielders to provide width in attack, and as such rely on the wingback to run the full length of the field in this role. The wingback is therefore, a very difficult position to fill as it required both defensive and offensive skill, good speed and excellent stamina. The sweeper was an innovation made popular with the Italian Catenaccio strategy of the 1970’s. Usually an extra player assigned to the defence who is tasked as a kind of zone defender, the sweeper will help the other defenders mark players as necessary and try to sweep up (hence the name) any balls that may make it past the back line. Soccer midfielders are generally split into center and outside soccer positions. 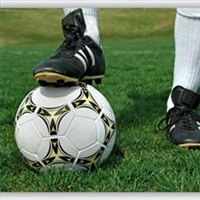 The center midfielder position is perhaps, the most important in the whole game. This player is often times referred to as the engine of the team, responsible for both setting up attacks and breaking up the opponents forward play. The outside midfielders are versatile players, with above average stamina. Tasked with playing equal parts offense and defence depending on the strategy used, the wide midfielders must patrol the sidelines, providing width in attack, and tracking the opposing players as they make their runs up field. Scoring is a necessity in soccer. However, in some strategies, soccer stirkers are often the first players that are withdrawn when a lead has been established and as a result, many strategies make do with a lone striker, or in some situations, no striker at all. That said, there are a few different types of strikers out there. Most often seen are center forwards and wingers. The center forward is often, tall, strong, and an excellent finishes as his role is to score goals at every opportunity. The winger can be smaller, is usually speedy, and their role is to either serve the ball via a cross into the penalty area, or cut into the centre of the field and make an attempt at goal. This type of player requires good one-on-one skills so they can pass defenders off the dribble.